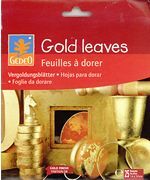 Imitation gold and silver leaf in 100 sheet packs. Preparation to glue the gold leaf. 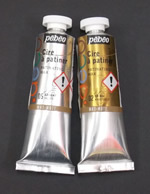 Very fine metal particles, coated with a binder wax acrylic resin. Metal powder suspended in a transparent varnish. Suitable for thinning the gilding waxes and make them creamier. Also used for cleaning tools. Fast setting two-component silicone moulding paste. Concentrated formula based on natural rubber. A natural seaweed-based powder. 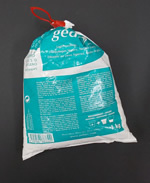 Suitable for moulding complete volumes, soft or delicate objects, the human body. Can be used to cover all types of objects. 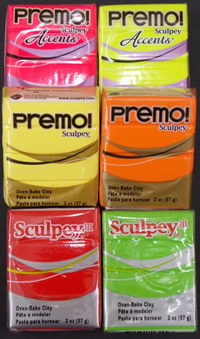 Wax based, infinitely reusable to model objects or figurines which you want to mould. Low density plaster recommended for casting. A two-component epoxy resin system. Crystal resin is a perfect imitation of glass paste. An oven hardening polymer clay.